Comfortable, cosy, pure. 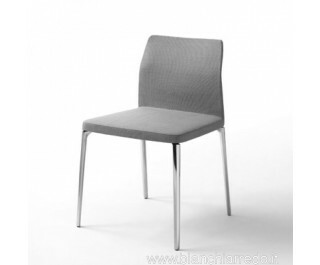 Four thin aluminium legs sustain wide upholstered seat and backrest, able to convey through their shape a sensation of attractive confort that draws you to seat on”. Piergiorgio Cazzaniga Padded chair covered with fabric in the categories and colours of our collection, or leather or eco- leather. Body in flexible polyurethane and legs in die-cast aluminium in the following finishes: polished aluminium, lithium, polished or matt ossidiana, or lacquered in the colours as per price-list. The fabric version is fully removable.